The pre-order period for the SCT Sampler with an April 2019 start is from February 1st to 25th. 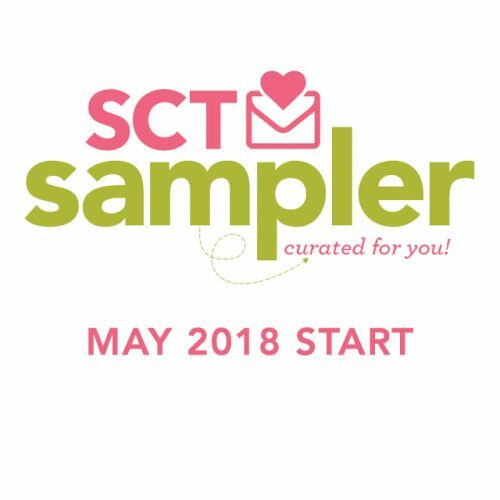 The SCT Sampler is a specially curated package of papercrafting goodness from your favourite companies delivered right to your doorstep each month! The SCT Sampler is not a kit in the traditional sense. It’s bite-sized! A hand-picked selection of new products in mini quantities offering you an opportunity to make a beautiful new discovery. Sample the newest designer trends AND have a surprise delivered to your door every month! It’s a totally new experience designed with you, our favourite papercrafter, in mind. 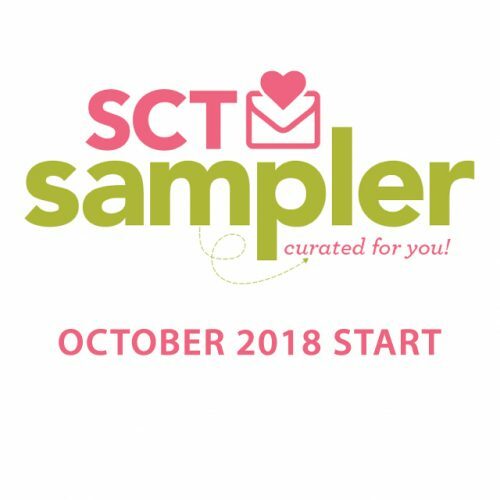 What is the SCT Sampler? 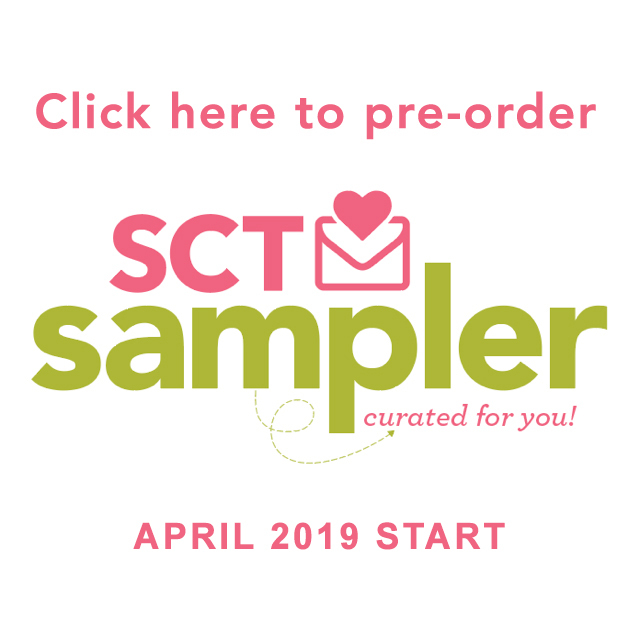 The SCT Sampler is a specially curated package of papercrafting goodness from your favourite companies delivered right to your doorstep each month! Sounds amazing! What’s included in the SCT Sampler? 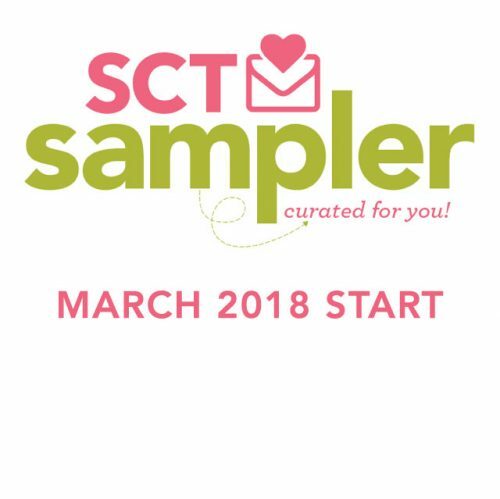 Working with our amazing industry partners, your SCT Sampler will include a beautiful selection of brand new products! Every month we will surprise you with at least a dozen different hand-selected 6×6 papers and a wonderful array of specially selected embellishments to enhance your papercrafting fun. Throughout the year you’ll also be introduced to stamps, dies, adhesive and SO MUCH MORE! AND, we’re going to include a fun exclusive product each and every month that you won’t find anywhere else. The SCT Sampler is not a kit in the traditional sense. It’s bite-sized! A hand-picked selection of new products in mini quantities offering you an opportunity to make a beautiful new discovery. Sample the newest designer trends AND have a surprise delivered to your door every month! It’s a totally new experience designed with you, our favourite papercrafter, in mind. Oh, there sure is! Every SCT Sampler subscriber will receive a 10% off coupon to shop at Scrapbook.com! 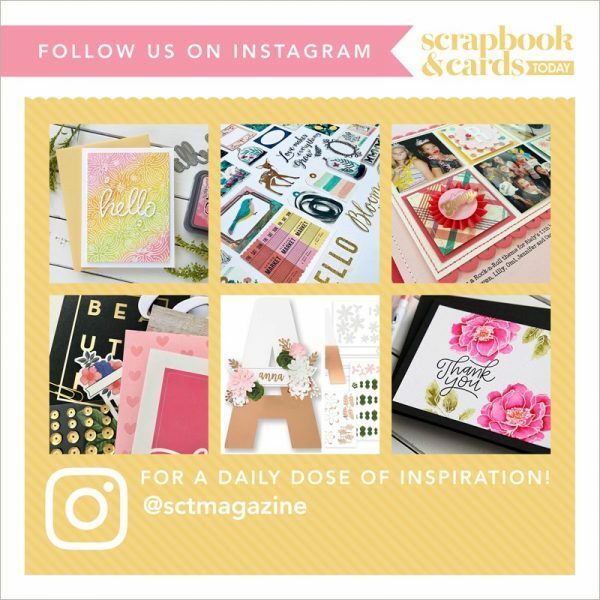 And by shop, we mean on anything you want at Scrapbook.com, not just what’s included in the SCT Sampler.